This is the correct handset for use with the Siemens Gigaset A510A: an easy to use home cordless phone. Equipped with a phonebook memory for up to 150 contacts, HSP sound technology for exceptional call clarity, loudspeaker, and more. Up to four handsets can registered to the base of the A510A. Benefits of using multiple handsets include features such as: intercom, call transfer, and conferencing facilities. 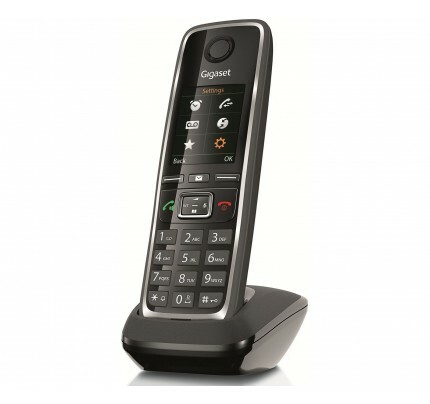 As this handset is GAP compatible, it can be registered to other Gigaset bases. For details on what features will work when using the A510H with a different model, please refer to the following compatibility guide. *Please note that this is an additional handset and charging cradle to be purchased for use with an existing system. 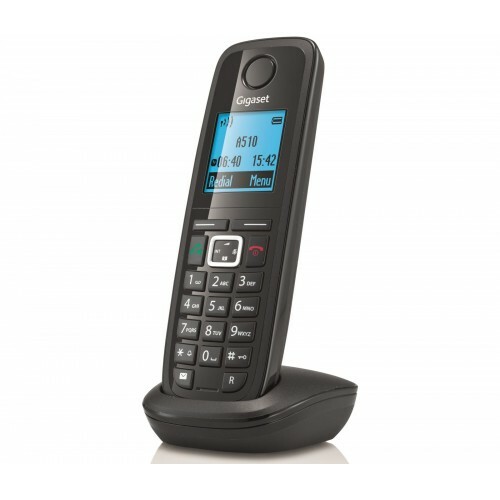 This handset cannot be plugged into a telephone line, and will not work without a base station (The Gigaset A510A main unit with base is available here). Phone was incomplete; the battery cover was missing. Despite that, the phone works excellently.